Spectacles and Monocles are not just for correcting vision; once upon a time, they were actually worn as stylish accessories by gentlemen of status and note. We bring you a selection of spectacles and monocles, so that you can do the same today. Our monocles are based on an antique and classic design that replicates the pieces worn by the gentry of an era that has long-since passed. 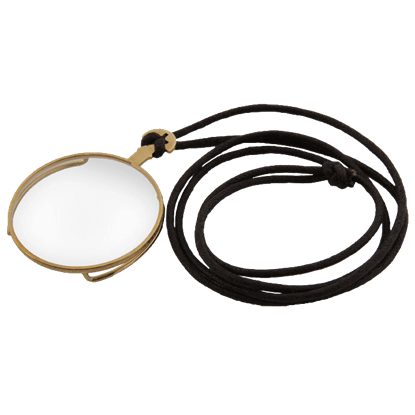 They are a stylish and intriguing accessory to add to any Victorian or Steampunk costume, serving to add a subtle touch of class that is difficult to achieve with any other accessory. And our spectacles bring their own touch of style to the table, helping to create a scholarly, educated look that is almost unparalleled. And perhaps the best part about our monocles and spectacles is that they are all extremely well-priced; almost anyone can find room in their budge for at least one of our attractive eye-pieces. And do not worry about any of our eye-pieces messing up your vision; each monocle and spectacle is non-prescription. Our eye-pieces are available in a select few styles, and what styles we have, mesh well with almost any look. So if you want to add a touch of class, education, and refinement to your look whether its Victorian, Steampunk, or medieval then you almost cannot go wrong with a good monocle or pair of spectacles. 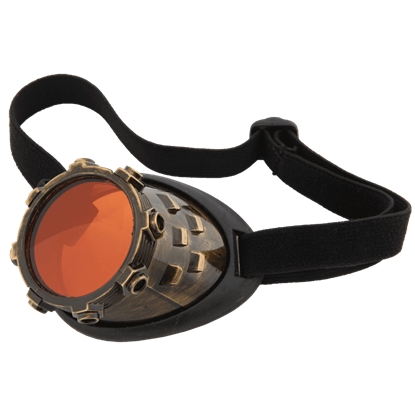 These Atomic Ray Steampunk Goggles are the epitome of style and protection, fused into one goggle package. 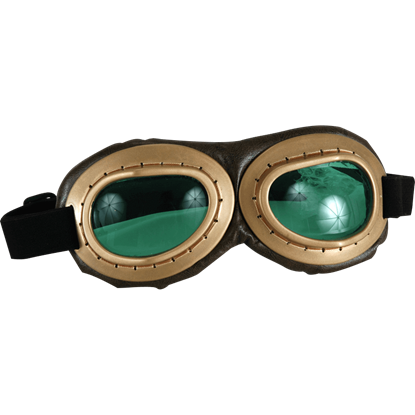 These goggles are the perfect way to protect your eyes against the harsh Steampunk environment, while still looking stylish. What once was mere fantasy is now a reality! In these Black Cyberstream Goggles, you will look ready to surf even cyberspace, while ensuring that your eyes are fully protected and perfectly styled in an impressive technological way. If you suspect that danger is near, than you should ensure your own safety by adorning yourself with all the necessary protections. To protect your eyes, there is nothing better than this pair of Black Radioactive Aviator Goggles. Do not let the title fool you, as the Claus Steampunk Glasses are a striking choice of non-prescription spectacles that look great with a wide assortment of different styles, helping to add a touch of sophistication to any ensemble. 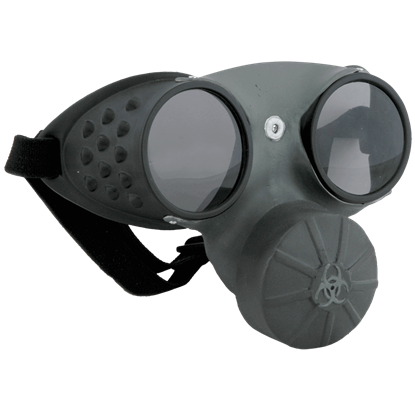 Most post-apocalyptic environments are pretty harsh and unforgiving, so be sure to equip yourself with the Costume Gas Mask Goggles. 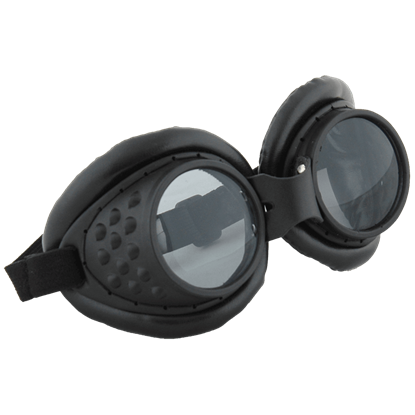 These costume goggles are ideal for adding authenticity to any dystopian or steampunk ensemble. While it might be called an eye-patch, it really is something more. 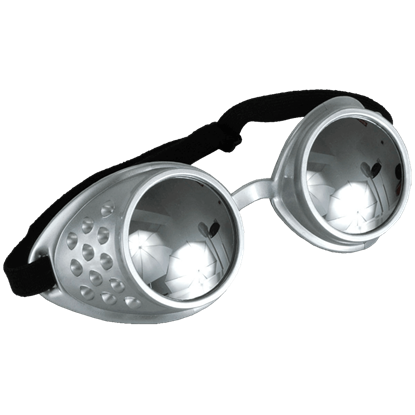 Rarely do you need to protect just one eye, which means that the Cyberstream Eyepatch is more of an intriguing and smart adornment that can serve a variety of purposes. Believed to be the first optical device to successfully filter polarized light waves (however, the striated glass element has sadly been lost). This monocle hangs on an approximately 20 inch long fine black curb chain with T-Bar. 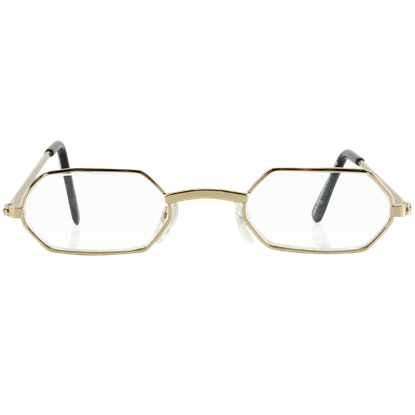 These Gold Aviator Goggles are spot-on replicas of the original goggles that were worn, years before, by some of the greatest dog fighters in history. Vintage in style, these goggles are a great complement to any pilots look. A monocle was originally a single corrective lens designed for one eye. They also became a stylish accessory at one point. 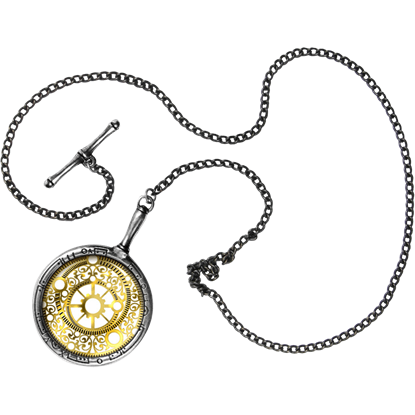 Now, the dapper Victorian gentleman or lady can have their own Gold Monocle for an extra air of sophistication. The eyes are very important and should be protected at all times, especially when you are soaring through the air. 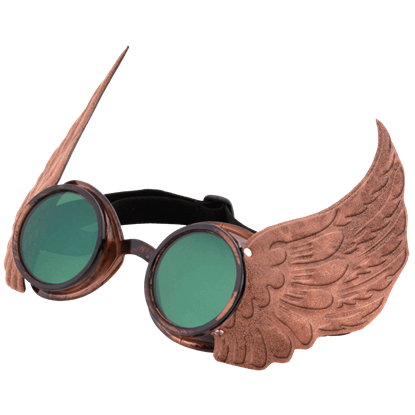 When you are flying, adorn yourself with these Gold Winged Goggles to perfectly accent your style. A monocle was a single corrective lens that became a popular accessory for the discerning gentlemen of the Victorian era. 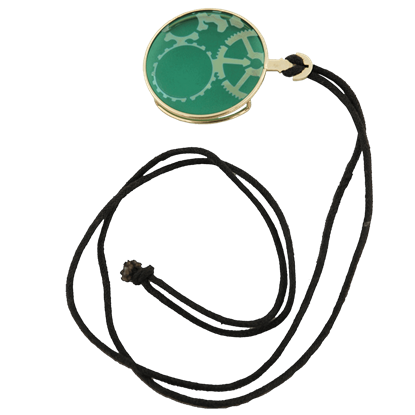 With the neo-Victorian style of Steampunk, you can wear your very own elegant Green Steampunk Monocle. 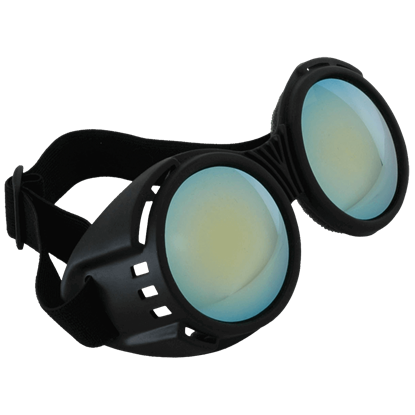 What these goggles lack in appearance, they more than make up for with a sturdy design. 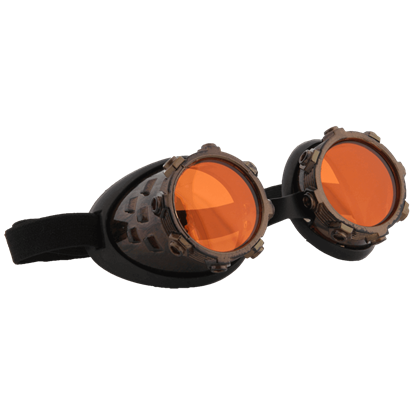 These Industrial Goggles are the perfect choice for a steampunk citizen who wants a pair of goggles that are simple, comfortable, and effective.